This comes after a Thursday action at City Hall, during which taxi drivers circled the block and marched to Mayor London Breed’s office in protest of a decision to prohibit drivers with medallions purchased prior to 1978 from working the airport. Perhaps one of those drivers may yet see her at SFO; the mayor was out of town attending the U.S. Conference of Mayors in Washington, D.C.
“The [city] decided to sell medallions for $250,000 a piece, they decided not to regulate Uber or Lyft, and now we’re all paying for it,” Citywide Transportation CEO Chris Sweis told taxi drivers clustered on the stairs in front of City Hall. At issue is the SFMTA’s decision to limit the number of taxis allowed at the airport, a tactic critics say is nothing more than an attempt by the agency to undermine a lawsuit brought against the city by the San Francisco Federal Credit Union last year. The genesis of the lawsuit traces to 2010, when the SFMTA launched a pilot project to sell taxi medallions. The effort was an attempt to earn revenue and stave off budget cuts in the aftermath of the 2008 recession. The decision to sell medallions resuscitated the paid medallion system, which had ended in 1978 following Proposition K. After 1978, medallions were “earned,” instead of purchased, a system that stayed in place for more than 41 years. The San Francisco Federal Credit Union, the city’s lending partner in the 2010 medallion-selling initiative, issued loans to would-be taxi drivers to purchase medallions from the city for $250,000 apiece. But Uber launched its service in San Francisco five months later in July 2010, and the medallion market cratered. The city’s timing couldn’t have been worse, said Peter Miller, with the San Francisco Taxi Workers Alliance. Last year, the San Francisco Federal Credit Union filed suit against the SFMTA, alleging that the agency misled the credit union, and reneged on its promise to repurchase the devalued medallions. The credit union is seeking to recoup $28 million dollars lost to the disrupted market. 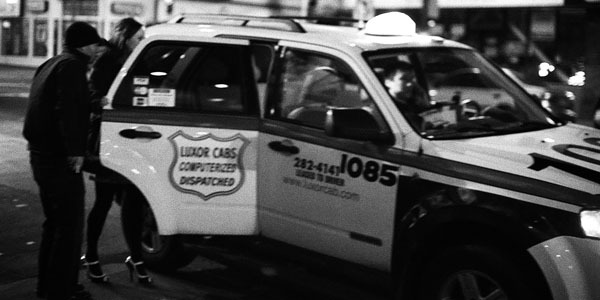 Customers climb into a licensed Luxor cab on Mission Street. In response, the city has limited pick up and drops off at the airport to prioritize taxi drivers that bought their medallions from the city after 2010. Taxi drivers who earned their medallion after 1978 are still allowed to pick up, but without “expedited access” to the curb, which allows the drivers to complete their trips more quickly. SFMTA claims this policy will support the drivers struggling to pay their loan back to the credit union. Miller and his colleges sharply contest the city’s rationale, pointing out that as long as Uber and Lyft are unregulated, competition will continue to be fierce — and unfair. 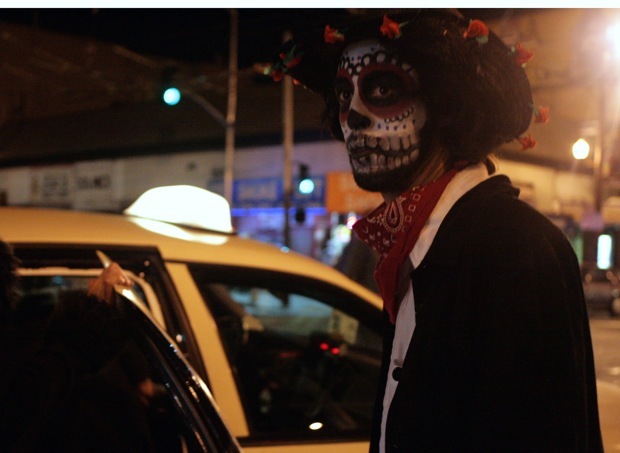 “Business has been terrible in the Mission District and all over the city, since the [Uber and Lyft] have come in,” said Mark Gruberg, who drives a taxi for Green Cab Co-op, the only taxi service based in the Mission District. Miller says more is at stake than taxi driver’s incomes. PreviousKamala Harris’ actual record never seemed to matter before. Will it now? Government regulating the marketplace is almost always a train wreck. Stop all taxi regulations and let the marketplace decide how many taxis/ubers, etc…are needed. Don’t give favors to any companies. Don’t charge any business an entry fee. That is just plain stupid and only helps deep pocketed and connected individuals. We will have extra taxis/ubers for a while, but eventually the marketplace will set itself straight. Any government intervention will only give big companies like UBER an advantage and screw over the little guy. Who to blame? The city itself, and the group of senior taxi drivers. I am a cab driver for yellow cab for almost 20 yrs. it was good until the ride sharing came. Had the city released 1,000 medallions to us, this Uber will not come out. Plus, a group of medallion owners were lobbying the SFMTA to limit the release of medallions. We saw greed and feeble-mindedness of the group. Even 500 medallions issuance might deter the idea of ride-sharing. Too bad, I feel for my coalleges who bought their medallions. Note, I drive for Lyft now. The taxis never used to come to the Mission. It was impossible to get a cab. Now its so easy to get a car through an app that they can’t compete. I feel bad for those that bought medallions but the ability to get a ride has certainly gotten way better. Now if only they hadn’t made it such a pain to get a rideshare at the airport. Perhaps that too was to favor the new medallion purchasers. agree. It was even worse in hunter’s point and Portrero hill and now folks have access to transportation. Medallions not only hurt the taxi driver and drive up the cost of a ride, they also disproportionately effect people of color in poor areas. Medallions are racist!